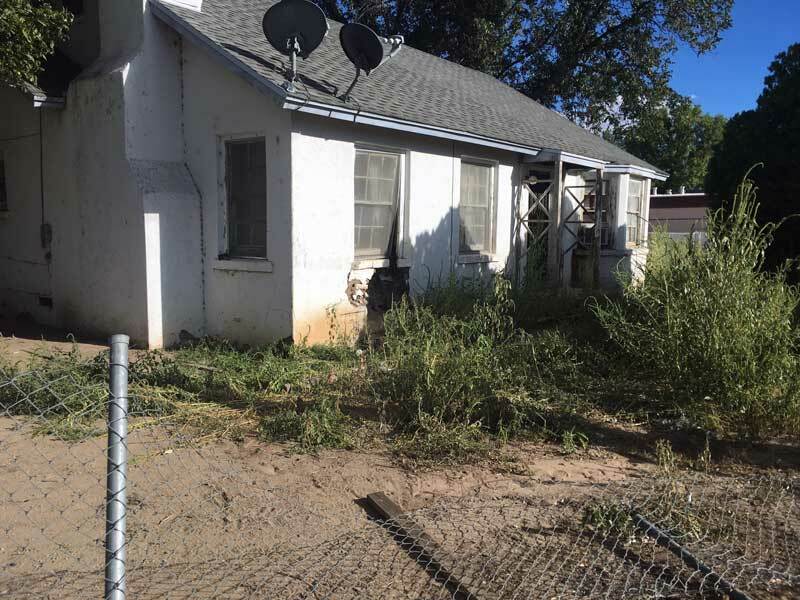 Brooke Curley Photo/Gila Valley Central: A veteran is being investigated for DUI-drug after colliding with another vehicle before continuing on through a fence and into this house. The driver said he takes the maximum allowed amount of Oxycontin per day. SAFFORD – A veteran who said he takes the maximum allowed amount of Oxycontin and Oxycodone per day is being investigated for DUI-drugs after causing a two-vehicle collision Sept. 20. According to witnesses’ statements to Safford Police, Jerold Hall was in a blue Dodge pickup truck stopped facing eastbound at the intersection of 20th Street and 1st Avenue at about 7:25 a.m. when he suddenly accelerated into 1st Avenue directly in the path of a southbound black Ford Expedition. The driver of the Expedition, Stacy Jarvis, said she slammed on her brakes but still impacted the driver’s side of Hall’s truck. After the initial collision, the truck continued eastbound and went through a residential fence and into the side of a home on the southwest corner of the intersection of Lonestar Road and 1st Avenue. 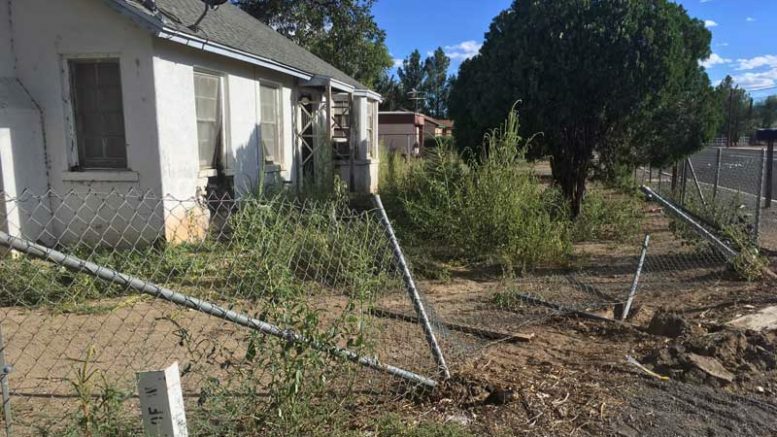 Brooke Curley Photo/Gila Valley Central: The truck went through this fence and into the house. Upon contact with Hall, medical personnel advised Hall’s speech and movement were slow and that he appeared to be under the influence of narcotic pain medications. Hall informed the officer that he takes the maximum amount of opioid narcotic pain pills he is allowed per day and said his doctors at the Veterans Administration said he could drive on his medication as long as he could handle it. In Arizona, for a driver to be convicted of DUI-drugs while under the influence of medication prescribed to them there has to be evidence of impairment. While Hall was being treated at Mt. Graham Regional Medical Center, some of his blood was taken for DUI testing purposes. The officer in charge of the accident report found Hall to be at fault for failing to yield the right of way and the officer who conducted the DUI investigation reported forwarding his report to the Safford City Attorney for charging pending results from the blood test.